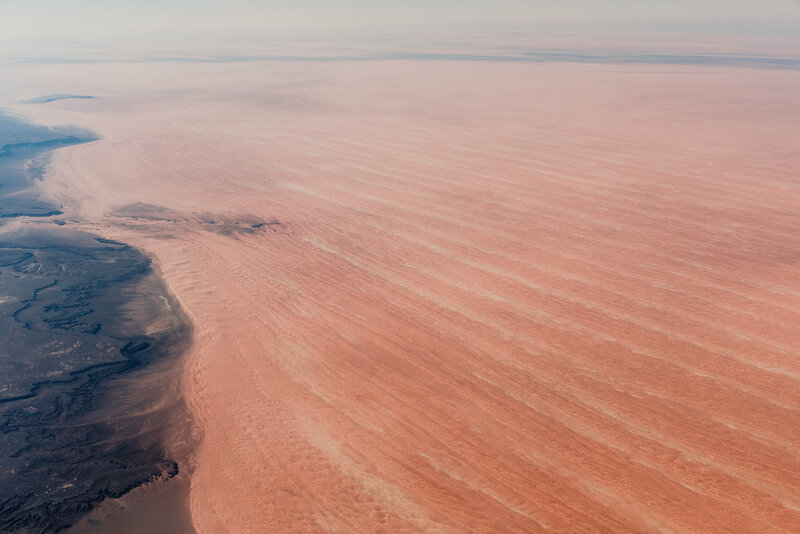 My favourite part of the flights to Africa, enjoying the blood red sand dunes of southern Algeria. The Richat Structure, also know as the Eye of the Sahara. It's not often we get to see this, as most of the time it's covered by a layer of haze or low clouds. The north part of Mali is not a good place for tourism right now, so we'll just have to enjoy it from cruising altitude.